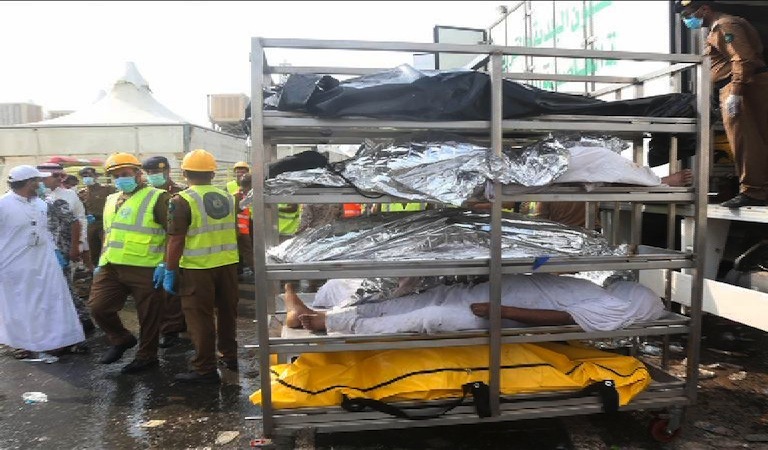 The process regarding the biometric verification of Mina martyrs has been initiated, as Saudi officials have begun taking fingerprints from the bodies. The data of fingerprints from the martyrs’ bodies will be matched with those present at the central data. The finalized list of martyrs will be compiled according to their respective nationalities only after the identification process is completed. It should be mentioned here that bodies of most of the martyrs are beyond recognition owing to severe stampede amid soaring temperature above 45 degree centigrade at Mina around Jamarat.